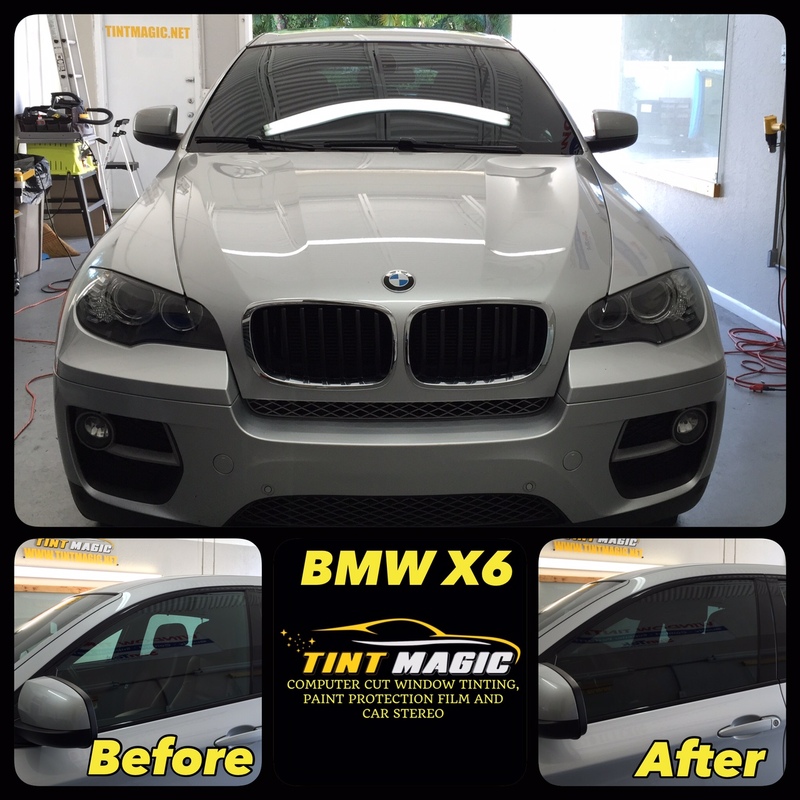 Tint Magic Window Tinting have installed Carbon Xp 35% all over around BMW X6 for the best heat rejection and UV protection. Call us for the best service you deserve! (954) 840-7883. Visit us: 11344 Wiles Road Coral Springs, Fl 33076. The BMW X6, as the first coupe-SUV mashup, created a segment that other carmakers are just now warming up to. (Witness the planned Mercedes-Benz MLC.) A smashing sales success that positively oozes on-road dominance and power, the X6 also serves as the polar opposite of the kinder, gentler image BMW has put forth with its electric and hybrid i sub-brand. And now BMW is preparing to launch this second-generation model. The X6 is still recognizable as an X6, and with its huge, chrome twin-kidney grille, the X-shaped intersecting elements on the front bumper, and a rear haunch now accentuated by a curved crease, this SUV is as extroverted as ever. But it isn’t the unique visual snowflake it once was. In its quest to cut costs, BMW has dictated that the new X6 will share its hood, grille, and headlight assemblies with the X5. Previously, only the M models shared headlights, and it was the X5 M that took its visual cues from the X6 M; this time around, every X6 adopts the aesthetic already established by the cheaper and higher-volume X5. The new X6 also gains a short, stubby tail, an element that is shared with the new, smaller X4, making them tough to tell apart from some angles. The front end incorporates a lot of aero stuff, including air deflectors on the wheel arches, “Air Curtains” incorporated in the outboard intakes, and the fender-located “Air Breathers,” all of which are intended to help smooth airflow over the front wheels in the interest of fuel economy.